Make Poetry Happen in Your Classroom! Nottingham Writers’ Studio, 25 Hockley, Nottingham NG1 1FH. You will find out much more about Making Poetry Happen and participate in lively poetry making activities focusing on poetry writing, slam workshops and performance, listening to poetry and the Gothic. All the activities are suitable for use in a variety of contexts with KS2 – Post-16 students and adults. There will also be a Five Leaves Poetry bookshop at the event with copies of Making Poetry Happen on sale at a discount and a range of other poetry titles. Brenda Ainsley, Secondary English teacher at Sir William Robertson Academy, Lincolnshire and author of ‘Gothic Poetry’ chapter in Making Poetry Happen. 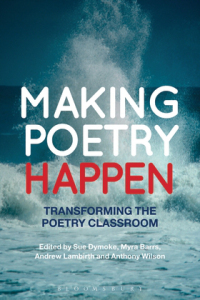 The workshop will draw on successful practices which grew out of the Poetry Matters ESRC seminars and appear in Making Poetry Happen: transforming the poetry classroom (edited by Sue Dymoke, Myra Barrs, Andrew Lambirth and Anthony Wilson and published by Bloomsbury in January 2015). 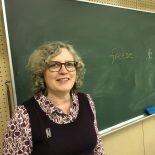 This entry was posted on February 27, 2015 by Sue Dymoke and tagged Five Leaves, Nottingham Writers' Studio, poetry slam, poetry workshop, primary teachers. secondary teachers, the Gothic, writing.